Wings of Freedom Tour featuring three WWII planes, 9 a.m.-5 p.m., Allen County Airport, 700 Airport Drive, Lima. Cost: $15 for adults; $5 for children under 12. 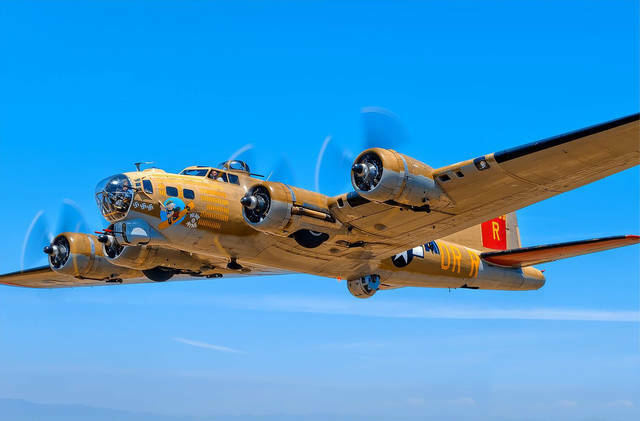 LIMA — The Wings of Freedom Tour, featuring the B-18 Flying Fortress “Nine O Nine,” B-24 Liberator “Witchcraft,” B-25 Mitchell “Tondelayo” bombers and P-51 Mustang “Toulouse Nuts” fighter, will be on display from 9 a.m. to 5 p.m. Thursday, Aug. 9, at the Allen County Airport, 700 Airport Drive, Lima. Cost is $15 for adults and $5 for children under 12. The planes may be viewed from 9 a.m. to 12 p.m. Friday, Aug. 10. This entry was tagged 080918. Bookmark the permalink.